Have an asphalt roof? How old is it? Although asphalt provides lots of benefits when it comes to roofing materials, they begin to break down over time. The result? Cracks and splits that can appear down the center, around the perimeter or even in the flashing. Luckily for you, there are lots of ways to combat the damage and we recommend tackling them as quickly as possible. Neglecting a damaged roof can lead to major headaches in a short period of time and you don’t want that, right? Identify the source of the leak and be sure to clean the surface area thoroughly. Apply liquid asphalt primer to the area using a brush or roller and then apply the fabric patch once the primer has dried. Then cement the patch in using roof cement. This is where you’ll make use of your trowel to apply the cement. We recommend at least two layers of fabric and then finishing it off with a coat of asphalt mastic to prevent future leaks. We understand that the process can be a bit difficult for your “average Joe” and for that reason we encourage you to give the roofing experts at North East Home Improvement a call. 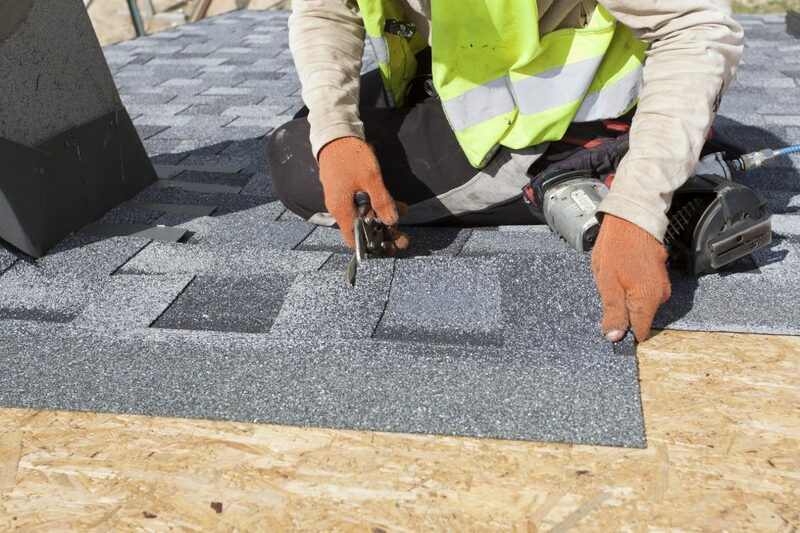 Our team is equipped to handle new roof installation, repair and maintenance, and upgrades for both residential and commercial properties so call today! (203) 321-6695.